Experts at this year's edition of Emerging Franchisors Workshop which held in January, are unanimous in their view that franchising - a practice of using another firm's successful business model - is an ideal way to tap into the business potential of the huge Nigerian market. With a population of 170 million people, Nigeria is Africa's most populous country by far, and its economy is growing at about 7 percent, vying with South Africa as the continent's largest. And it's franchise market (even though in its infancy stage) is considered a potential market of over one hundred billion dollars in annual revenue in from products and services, 20 percent less than South Africa's. According to a United States commercial service report on Nigerian franchising, industry sectors where franchising shows the most promise and growth in Nigeria include fast food, quick service restraurants, hotel services, professional and service training, transportation services, telecommunications services, and distributive trade. "The future of franchising in Nigeria is very bright sequel to the teeming population and enterprising nature of Nigerians," director general, NOTAP, Engr Umar Bindir, said in a lead paper. "Once the concept is well understood, many enterpreneurs and some of the present unemployed youths will hopefully key into it and grow it into small and medium enterprises (SMEs)." Bindir added that franchising industry has proved itself to be a vital mechanism for jobs' creation, citing the FriestlandCampina WAMCO Plc partnership programme initiated by NOTAP, wherein the former promoted local dairy development with Nigerian farmers for the production and collection of cow milk. The spin-off, according to him, has provided more employment opportunities. In a presentation on Franchising as a Career, deputy director, NOTAP, Idy Imiyoho noted that as a franchisee, one pays for the privilege of using an established marketing brand or business strategy. "The key to deciding if a franchise is a good career strategy is conducting extensive research by identifying the products or services that interest one; the different business concepts available; the operating systems involved; and each brand's reputation," she said. A past research into wider business failures from the African Development Bank found only 15 percent of franchised SMEs folded compared to an 80 percent failure rate among independent businesses. An International Franchise Association report futher says franchise start-ups are more likely to be successful than an independent start-ups. "Franchising has become a globally accepted business model for small and medium enterprise development in most economies," executive secretary, Nigerian International Franchise Association, Micheal Olayinka said in a presentation on Franchise Opportunities in Nigeria. According to Babalola, franchising not only allows expansion but is also an empowerment tool, which can benefit start-up companies and develop Nigeria's small and medium enterprises (SMEs). Findings show that aside Coca Cola and Pepsi, which have been established in Nigeria for a long time, KFC was the first US food brand to open outlets in Nigeria. Many more companies are exploring the market, and South African and European brands are establishing a presence in Nigeria, too. Indigenous companies are also in the business; franchising is driving their expansion in Africa. Lagos-based Food Concepts and Entertainment, which owns Chicken Republic and Butterfield Bakery says that South Africa, where it opened its first outlet outside Nigeria in 2007, is a springing board to the rest of the continent. Other local companies offering franchises include retail food chains Mr. Biggs and Chicken Republic and Tantalizers. Analysts say this growth trend is expected to continue over the foreseeable future, and is already having a spill over effect on other industry sectors. The Private Sector Department of the African Development Bank (AFDB) held a six-day seminar at the Sheraton Hotel, Ikeja, Lagos, Monday, October 25 through Saturday, October 30, 2010. The seminar was part of AFDB's capacity development initiative for franchise development in Africa. Titled "Understanding Franchising as a Business Development Strategy and Recipe for SME Sector in Nigeria," the seminar was conducted by Moyanga, Louw and Associates of South Africa in collaboration with the Nigerian International Franchise Association (NIFA) and the National Office for Technology Acquisition and Promotion (NOTAP). It was funded by the Japanese Government through Funds for African Private Sector Assistance (FAPA). The seminar was designed to create awareness and better understanding of the business franchise concept in Nigeria. More than 40 attendees actively participated in the seminar, including representatives of the small and medium enterprise (SME) sector, intellectual property law firms, banks, and the government agencies responsible for franchising and licensing regulation, SME development, and job creation. Participants expressed their satisfaction with the in-depth analysis of franchising principles and best practices provided by speakers and workshop material, which they say will help them make informed decision decisions if they adopt franchising as a business method. Representatives of the National Office for Technology Acquisition and Promotion (NOTAP), Small and Medium Enterprise Development Agency (SMEDAN), and the National Directorate of Employment (NDE) emphasized the need for continued collaboration between NIFA and the Nigerian government to encourage the rapid development of the Nigeria franchise sector. Franchising is recognized as an important tool for job creation, transfer of know-how and technologies, poverty reduction, and the enhancement of small and medium enterprises. The new face of franchising in Nigeria includes successful indigenous brands such as Tantalizers, Chicken Republic, Mr. Biggs and new entrant HIIT Franchise. 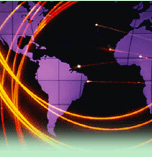 International brands include Kentucky Fried Chicken, Avis Car Rental, Crestcom (Trainers to the World), Fastrackids, Precision Tune Auto Care Center, Signorama, Computer Troubleshooters, WSI - Internet Consulting and Education, NIIT, and Hawthorn Suites. 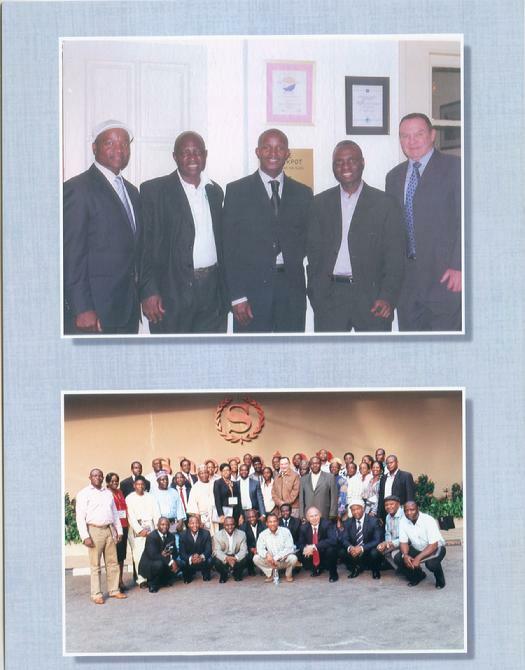 Seminar speakers and facilitators Mr. Nic Louw (top left) and Peter Moyanga (top right). Second row: Mr. Eugene Honey, head, Intellectual Property Department, Bowman Gilillan Law Firm, South Africa, Mrs. Oyefunke Araba, director, NOTAP. Below: NIFA president Dr. Augustine Egbunike addresses Workshop participants. 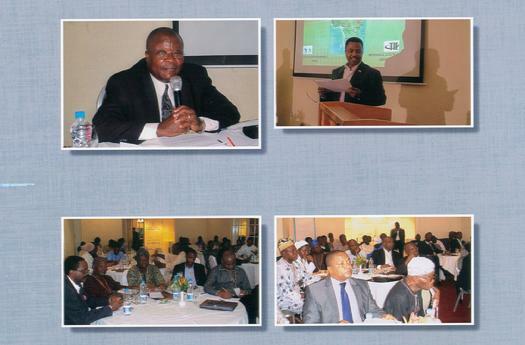 John Koffi Baffoe, AFDB Chief Country Economist, Nigeria Field Office, (top left) delivers opening remarks. 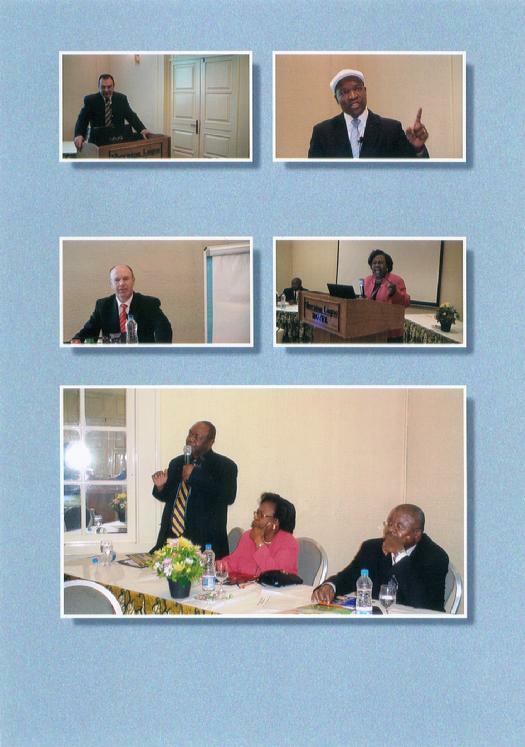 Top right: Anayo Agu, Senior Commercial Specialist, U.S. Commercial Services, Lagos, moderates seminar proceedings. Below: Seminar participants listen to presentations. 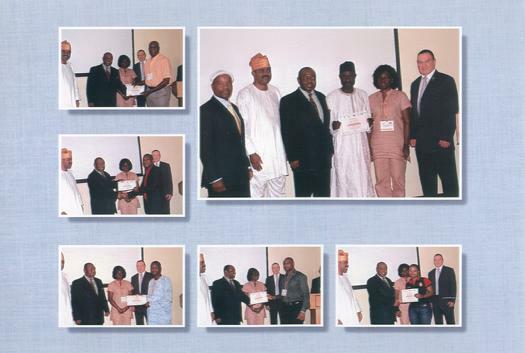 Certificate award ceremony conducted by NIFA president Dr. Augustine Egbunike, Pictured clockwise from top left, participant Oche Obe, Ali Lawan, National Directorate of Employment, Isioma Nwaokobia, Chicken Republic, Ndubuisi Onunwa, Kunech Group Ltd., Shode Olukayode, SMEDAN, Charles Uwagbale, Paymaster Ltd. Others pictured with Ali Lawan are (from left) speaker Peter Moyanga, NIFA vice president, Kayode Shobajo, and Mrs. Idy Imiyoho, NOTAP. Job well done. Participants pose for a group photograph at end the session. Top photo, in the middle, speaker Thabiso Ramasike, Head of Franchising, Standard Bank, South Africa, poses for a photograph with seminar facilitators Olayinka Babalola (second from left) and Demola Quadri (second from right). Peter Moyanga and Nic Louw join in. Ramasike presented a paper on Financing the Franchise System. Cocktail reception for speakers and participants at Reeds Restaurant and Lounge, Ikoyi. 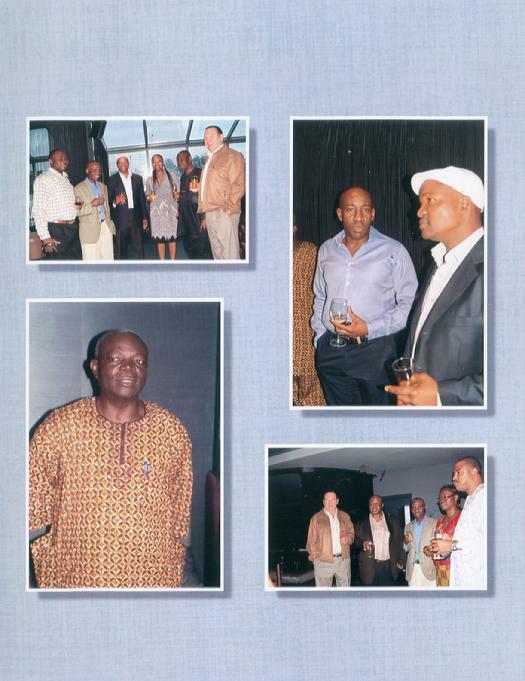 Pictured (top right) are chief host and notable Nigerian franchisor, Deji Akinyanju, CEO, Chicken Republic, sharing a moment with speaker Peter Moyanga. Second row (in traditional dress) is Mr. Duro Kuteyi, managing director, Spectra Industries Limited. From far right, second row, Kayode Shobajo, CEO, HIIT PLC, Mrs. Idy Imiyoho, deputy director, NOTAP, Demola Quadri, editor, franchisinginnigeria.com. Augustine Egbunike, chairman, Quik Internet, and speaker Nic Louw, AFDB consultant.